Background: Agile techniques recently have received attention from the developers of safety-critical systems. However, a lack of empirical knowledge of performing safety assurance techniques, especially safety analysis in a real agile project hampers further steps. 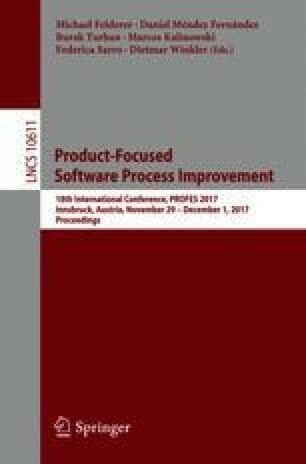 Aims: In this article, we aim at (1) understanding and optimizing the S-Scrum development process, a Scrum extension with the integration of a systems theory based safety analysis technique, STPA (System-Theoretic Process Analysis), for safety-critical systems; (2) validating the Optimized S-Scrum development process further. Method: We conducted a two-stage exploratory case study in a student project at the University of Stuttgart, Germany. Results: The results in stage 1 showed that S-Scrum helps to ensure safety of each release but is less agile than the normal Scrum. We explored six challenges on: priority management; communication; time pressure on determining safety requirements; safety planning; time to perform upfront planning; and safety requirements’ acceptance criteria. During stage 2, the safety and agility have been improved after the optimizations, including an internal and an external safety expert; pre-planning meeting; regular safety meeting; an agile safety plan; and improved safety epics and safety stories. We have also gained valuable suggestions from industry, but the generalization problem due to the specific context is still unsolved. We want to thank Dr. A. Nguyen-Duc for proof reading and his valuable suggestions. We are grateful to all participants involved during the case study. Finally, we want to thank all the feedback on previous versions. The first author is supported by the LGFG (Stipendien nach dem Landesgraduiertenfördergesetz).